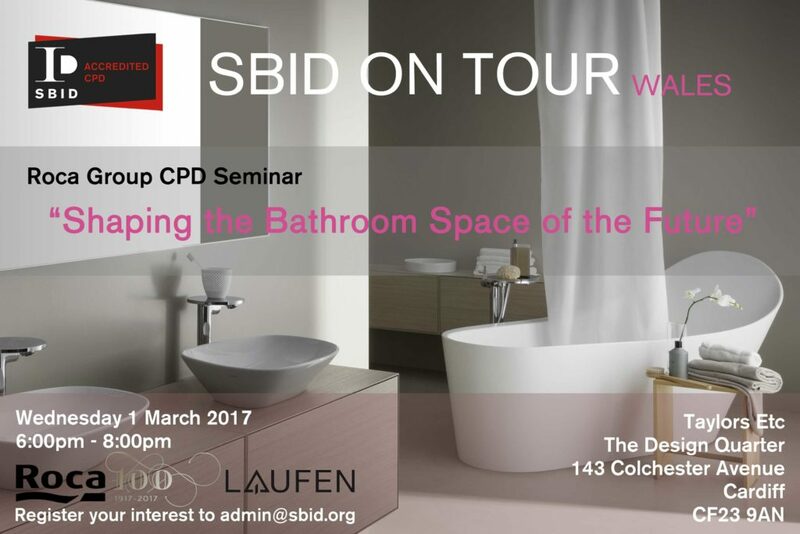 Join the Welsh team for an SBID accredited CPD seminar titled ” Shaping the bathroom space of the future”. Covering some of the key considerations and innovations that are influencing current and future bathroom spaces, the seminar considers factors such as sustainability, new technologies, materials and groundbreaking product solutions. The 45 minute seminar also includes information on ways to meet restrictions when planning a bathroom. Attendees will come away with deeper knowledge of the importance of design details from the conspicuous to the overlooked, while networking over light refreshments. SBID members can gain 2 CPD Points for attending this seminar. This Roca Group CPD is SBID and RIBA Accredited.